Congratulations! If you start thinking about CRM software, it means your business is growing and you need a robust solution to manage sales, marketing and customer support in a more automated and systematic way. Good news, the right CRM will magnify the efficiency of your business operations and encourage further growth. But what is the right CRM solution? There are so many alternatives available; they all offer a wide range of applications and tools to manage customer relations. This article will cover the most important questions you need to consider in order to choose the best CRM solution for your business. 1. Do you need a cloud-based or on-premise CRM solution? If you want to have greater control over equipment, security and data, you might prefer on-premise CRM. Potential drawbacks are setup and installation costs which can be prohibitive. Moreover, you will need an IT team to keep the system running. If you opt for a cloud-based CRM your work will depend on internet connection, but this option doesn’t require any initial investments. Cloud-based systems need minimum technical support and are accessible via mobile devices. 2. What are the goals you want to achieve with your new CRM? CRM solution can provide you with too many tools. You might need to cover the whole customer relations circle, starting from a contact management system and lead generation to sales forecasting, performance tracking and invoicing. It’s also possible your business is looking just for point solutions. Each CRM software has its own strengths and limitations. 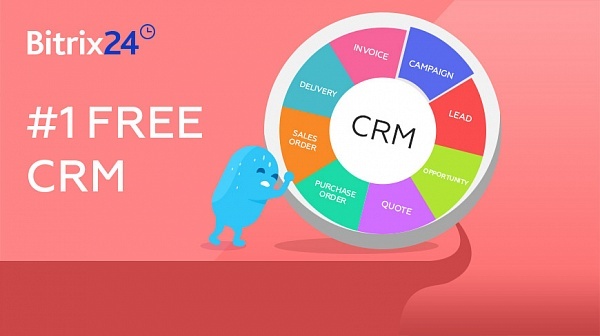 Only deep understanding of what CRM can do for your business in particular will allow you to choose the right option and customize it according to your needs. 3. How customizable is your potential CRM solution? Each business is unique and even though CRM software offers standardized packages which cover most of your possible business needs, there are high chances that customization will be required. You should be able to make changes and expand capabilities to tailor the software so that all its functions and features become relevant to your organization. 4. Can you integrate your potential CRM solution with other software you already use? Your CRM system definitely won’t be the first software solution you use in your company. Be sure that it is compatible with the apps and programs that are already in use in your team. If your other solutions can be easily integrated with your potential CRM, it will reduce your operational costs and definitely make your life easier in the future. 5. How secure is your potential CRM? Knowing how much customer data is at stake, you should be really careful choosing a CRM solution for your business. In order to choose the most protected one you should take into account a lot of aspects, among them: wh ere the data is hosted, certifications of the given CRM system, how the data is backuped, whether there are multi-level security permissions, etc. It’s not an easy decision, but with a little research you will find a solution complying with your security requirements. Bill Gates once said, “Information technology and business are becoming inextricably interwoven. I don’t think anybody can talk meaningfully about one without the talking about the other.” But he was also the one who said, “The first rule of any technology used in a business is that automation applied to an efficient operation will magnify the efficiency. The second is that automation applied to an inefficient operation will magnify the inefficiency.” Just some food for thought… We hope your business will embrace all advantages IT can offer and prosper for many years to come!